A lot of good RPG Kickstarters get overshadowed by better known publishers or titles. Others, like third-party 5e or Pathfinder products, have to compete against a sea of competition. This week, I’m counting down eight [Good gravy!!!] RPG campaigns that deserve a look. 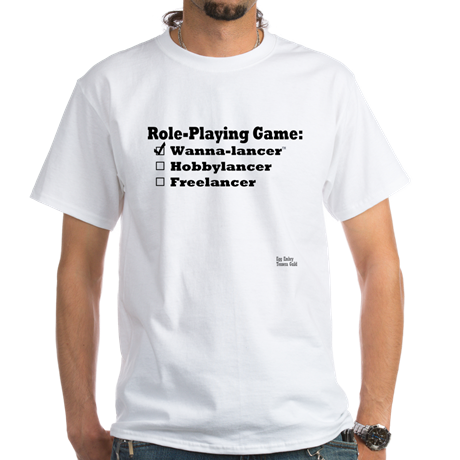 Some of these offer wanna-lancer* rewards that are worth considering into if you want to build your RPG resume. Ends on Thursday, August 31 2017 10:14 PM EDT. “A modern day Roleplaying game where players create various types of magic users. Urban fantasy magic meets gritty crime drama. Unknown to the general public, there are chaotic societies filled with magic, supernatural creatures, and other beings trying to establish themselves in the enchanted world and to promote their self interests regardless of the conflict that ensues. Meanwhile, many of the responsible magic practitioners do their best to shield the Ungifted from the reality of their existence to avoid a modern day witch hunt. It is in everyone’s best interest not to draw attention to their mystical world. In Wicked Pacts players create magic users from various types of blood lines, from Pure blooded, half-blooded, Angel blooded, or Demon Blooded. Furthermore, there are a wide variety of magic training thus forging them into an archetype they can pick from in the game. Wicked Pacts features Talents, Complications, and a ton of Spells. This is a new dice and Tarot Card combo gaming system that you can help fund. Or, if you want to create content for this setting/system, you can pledge to create a substantial element for it. You can write up an organization or adventure which could have an impact on the direction of this game. Their wanna-lancer reward gives you the chance to influence Wicked Pacts from the start. You can see examples of The Polyhedral Knights work at DriveThruRPG here. Ends on Friday, September 1 2017 12:00 AM EDT. “The Lion’s Vault – Part 3 of the Fate of the Forebears adventure path for 5th Edition D&D and Pathfinder RPG. 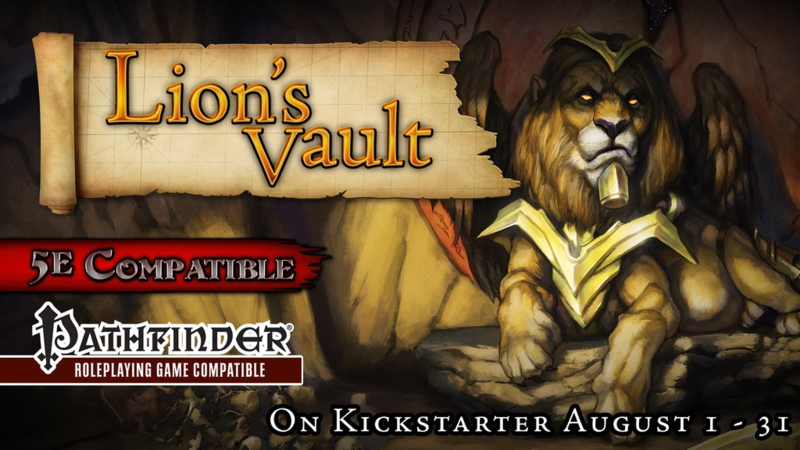 Lion’s Vault is the third chapter of the Fate of the Forebears Adventure Path, beginning immediately after the close of City of Sands module. The players must now venture out into the desert wastes of the Mirrored Steppes to uncover the secrets of an ancient city in ruins. Characters must withstand an ever-present corruption that feasts on their will, while they race treasure hunters and bandits through trapped-filled ruins to find the corruption’s source, an unspeakable horror protected by an ageless guardian. The 80+ page adventure is setting agnostic, but with original locations and written for both Dungeons & Dragons 5th Edition as well as the Pathfinder Roleplaying Game. The module will take characters from level 9 to level 11 and brings them through three narrative acts of a story arc, yielding 10-12 sessions of play. It is the continuation of the second module of Fate of the Forebears AP, City of Sands, which, in turn, picks up after the first module, Domes of Ishaq-Zahur. In addition to the module, there will be an opportunity to pledge for digital assets in addition to PDF and print versions, which will allow you to easily run it online through virtual tabletop as well as at your table. The destruction and terror the Nartheneen scepter caused on the metropolis of Archensheen will mark the city for decades. But even as the warring factions of the city fell to its power, it was clear that its evil source came from somewhere. Following a trail of disreputable treasure hunters, it is learned that a long-ruined Nartheneen city in the wastes of the Mirrored Steppes was the source of not only that scepter but all manner of evil and corrupted artifacts. This is the first of five RPGs that are for either 5e or Pathfinder or both (six if you count Starfinder since it’s akin to Pathfinder/3.5e). With that in mind, each of these 5e/PF adventures deserves a look because they all have something to offer. You can see examples of 2CGaming work at DriveThruRPG here. Ends on Friday, September 1 2017 5:31 AM EDT. “The Mysterious Happenings at Furlong Down is an adventure landscape (mini campaign) for 5th edition D&D. It is for 4-6 2nd level PCs. A call for help from a PC’s relative takes the party to the area around the village of Furlong Down. All is not well. A strange pallor has afflicted the village teenagers; farmers report sightings of dangerous beasts. The county was once plagued by a now destroyed vampire, but it still casts a shadow the village cannot escape from. Too many to list. They start at £7 (about $9) and let you create undead, sprites, warriors, and more. I backed John R. Davis’ The Cruellest Mistress Of All Kickstarter and pledged for a vanity press reward. My pledge allowed me to get the adventure and the prequel as well as create and write a setting and NPCs. The reward let me write a location but John let me sneak in a pair of NPCs to enhance the flavoring. John was easy to work with, very open to my ideas, and offered a lot of praise (and may use the setting/NPCs in a future volume of his adventure path. That was a validating conversation). CMoA was a nice addition to my RPG resume and pleasant work experience. For John’s campaign, I gave £15 (about $24 at the time). If I hadn’t pledged for that, I would have gone with the Forgotten Souls level (£14 or about $21) that included the prequel adventure, the adventure for CMoA and the gazetteer. My wanna-lancer cost was a pound or about $3 (all January, 2016 conversions and poor rounding). The adventure is fun, the art is solid, and my writing appears in the product. I count this as a win! One of your merfolk is pencilled in to become sea-dragon food in Part 4 of Keranow! Might feel a bit guilty about that now! Based on my experience with John R. Davis, this is an easy recommendation. I expect a great adventure, great art, probably some extras, and John is very open to including your ideas. The base cost is £5/$7 or you can create content for £7/$9. The extra cost is negligible and a great resume builder. I cannot recommend it enough! You can see examples of John R. Davis’ work at DriveThruRPG here. Ends on Friday, September 1 2017 6:49 PM EDT. “Sometimes the greatest adventure in space is simply surviving the orders of your captain. Redshirts brings laughs to your gaming table. Redshirts: Adventures in Absurdity (Vol. 1) is a Starfinder compatible Adventure Path, guaranteed to have your PCs laughing hysterically from one end of the galaxy to the other. Unlike most RPGs which set up the PCs to achieve great heroic victories over threats to the very existence of the world, Redshirts is more a game of survival, as in can the PCs survive the ridiculous orders of the command crew. Redshirts is perfect for players wishing to emulate the tone of comedic Space-Opera settings such as Hitchhiker’s Guide to the Galaxy, Futurama, or Spaceballs. It parodies and builds upon popular Sci-fi settings and tropes, while building its own niche. The final product will be between 100-120 pages, and will include 5 pre-gen characters for those that just want to pick up and play. It is available in PDF, softback, and hardcover (all in full color). Redshirts plays like a combination of a Role-playing game and an improv comedy routine (always say “yes”), as the PCs run the crew’s most dangerous errands. Vol. 1 encompasses the first three “missions” and takes the PCs from level 1 to level 3. Mission 1: The Terrible Tacos: When Captain Ginny wakes up after a weekend bender with an intense craving for tacos, she decides to send her newly arrived recruits on their first mission. Unfortunately for the recruits, the local Taco Galaxy is under deadly new management. Mission 2: The Cheaper Cleaner: Stuck in a surveillance mission around a dying star, first officer Laisse Faire decides to save a few credits and send the PCs to pick up his dry cleaning instead of paying for delivery. He’s sure the quarantine around the planet won’t be a problem. Mission 3: The Pirate Bonanza: When several important pieces of the ship’s engine go missing, the PCs are sent shopping at the local space pirate flea market with a budget of $0 and the Captain expecting change back. Can the PCs get the ship back in working order or will they end up swabbing the decks of a pirate ship for the rest of their days? 3 new specific settings (2 space stations and a planet) which will include statistics and maps. 6 new playable races including: Door-tu-Dorans, Plushians, Aggressians, Mongrels, Pointers, and Beardies. 15 new monsters/NPCs to challenge your PCs, each with full stat blocks and artwork. Paizo’s Starfinder was crazy popular at Gen Con 50 and sold out in seven hours on the first day of the show. Rumor at the con was Paizo brought 150% of the largest inventory they’d ever brought to a show. 7 hours ate that. Demos for Starfinder had hour-long lines even on Sunday. There is an appetite for Starfinder that Paizo and third party publishers are working to meet. That brings us to Redshirts: A Starfinder Comedy Adventure Path (Levels 1-3) by Happy Gnome Publishing. 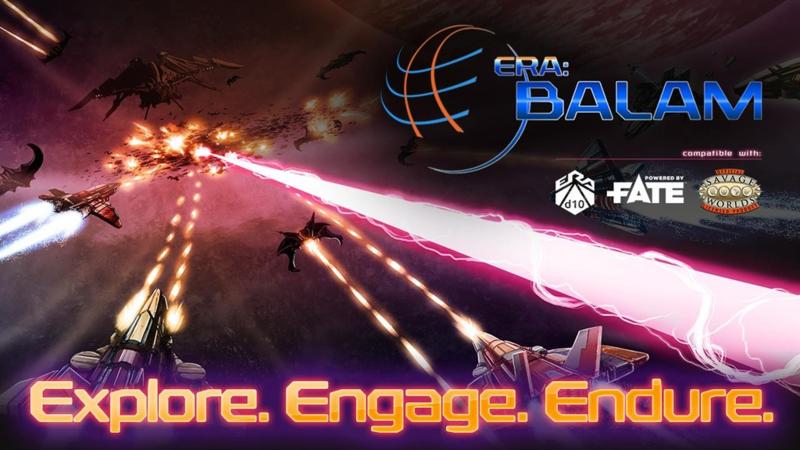 Launched with a 60-day funding period, this Kickstarter used its longer-than-normal length to ride the growing wave of interest in Starfinder and reach a wider audience. They’re developing a setting that lampoons Star Trek within the Starfinder setting. Interested in designing a NPC or an adventure early in the lifecycle of Starfinder? This campaign offers an opportunity to do just that. You can show off your chops with one of the hottest games in 2017. You can see examples of Happy Gnome Publishing work at DriveThruRPG here. Overrun by monsters a century ago, the keep at Glenfallow now lies in ruin. 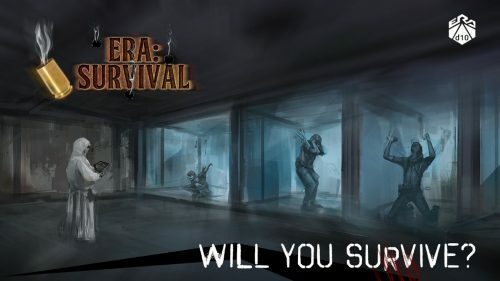 Will you help Pieron face unknown peril? Would you dare to stand beside the future lord of Glenfallow as he struggles to retake what it is rightfully his? 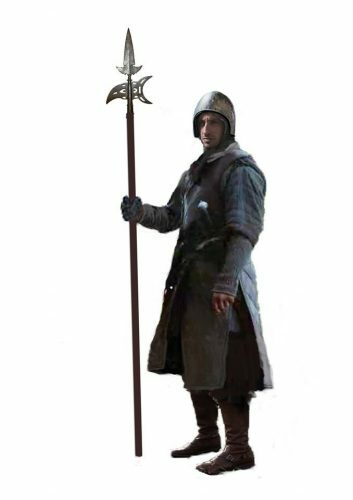 Can you forge the destiny of a newly minted lord? This is the third of five RPGs that are for either 5e or Pathfinder or both in this post. The Draw of Glenfallow is the first in a series from Sinopa Publishing LLC. This adventure is currently 48 pages and should grow a bit with maps and art. At $5 for “a PDF copy of the module, … [and] the Encounter Scale System printable encounter map pack”, the price is hard to argue with. You can see examples of Sinopa Publishing LLC work at DriveThruRPG here. Ends on Sunday, September 3 2017 8:18 PM EDT. “An epic adventure that explores themes of madness and obsession, of betrayal and consequence, and the hope of redemption. The Mad God’s legacy continues to plague the Eternal City! The Echo of Faith, a twisted spirit obsessed with atoning for her crime of deicide, plunges Anduria deeper into the darkness of the void. Her plans bring the unsuspecting citizens that much closer to the brink of annihilation. Only a handful of souls are even aware of the coming darkness, and most of those cannot be trusted. The characters are all that stand between the city and utter ruin. The continuing adventures begin to peel away the final layers to allow the players to see the bigger picture at play. All the hints and clues they have gathered so far begin to fit together. “Sanitarium” (Adventure 4) details the fall from grace of the Healing Hands, an altruistic organisation that has been secretly harboring the divine corpse of the Mad God Aether. The acolytes are about to learn that the aphorism “The road to hell is paved with good intentions” holds truth, as their attempts to siphon off divine energies only accelerate the city’s woes, and that deals with infernal organisations never end well – for anyone. The city will never be the same. Another option for the world’s most popular role-playing games, What Lies Beyond Reason offers an epic adventure. What’s the quality like? You can try the What Lies Beyond Reason Player’s Guide for free here. If you like it, they offer a chance for you to submit a NPC to the adventure and get the character drawn. “All of the products from the first kickstarter have received strongly positive reader reviews, but they have also been critiqued by Endzeitgeist a respected and impartial critic who is widely held to be the most prolific reviewer of 3rd party Pathfinder and OSR material to date, with a continually expanding catalogue. He has more recently added 5th edition material to his reviews. He has no compunctions about disassembling material and spotlighting its flaws. All five products (6 if you count the Player’s Guide) were rated 4.5 stars or better (on a 5 star scale), with two – the Campaign Guide for pathfinder and From the Ashes (adventure 3) for both pathfinder/5th ed – receiving his personal recommendation. 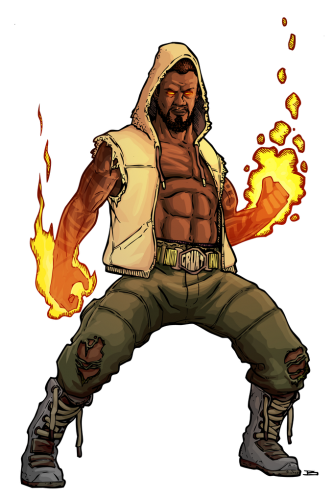 You can see examples of Pyromaniac Press work at DriveThruRPG here and their free What Lies Beyond Reason Player’s Guide here. Ends on Monday, September 4 2017 12:59 AM EDT. Welcome to the 20th volume of Dimgaard’s 5th edition adventures. Thanks for the consideration. If you want to see what a Dimgaard adventure module looks like, here is a sample (the first episode of this volume’s Tyranny in Purple). Also, here is the first episode of the Fey Secrets series. The Dimgaard adventure path series is huge. Want to try the campaign guide for free, DriveThruRPG has it available here. Want to be a part of one of the longest-running (if not the longest) Kickstarted 5e adventure paths? Here’s your chance to be a part of volume 20. Have a NPC or another cool idea that you want to use to help build this world? Dan Hass Endeavors is open to your ideas. You can see examples of Dan Hass Endeavors work at DriveThruRPG here and the campaign guide for free here. Ends on Thursday, September 7 2017 7:00 AM EDT. “A tabletop roleplaying game with dice. 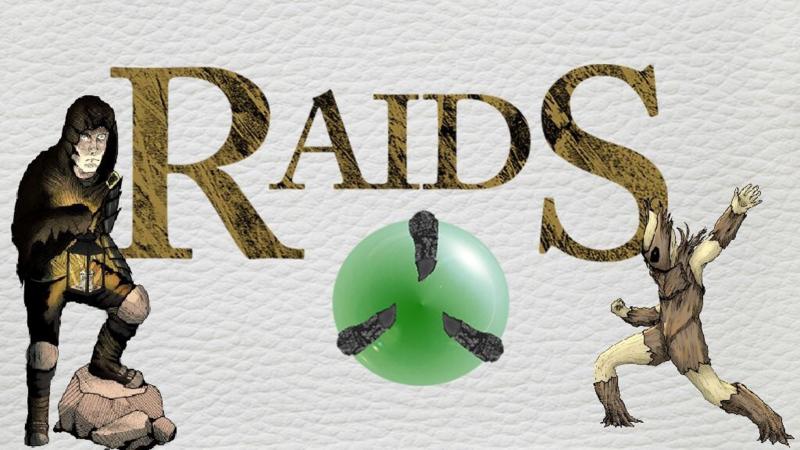 Quick to learn for gamers of all experiences, Raids lets players tell the stories they want to. 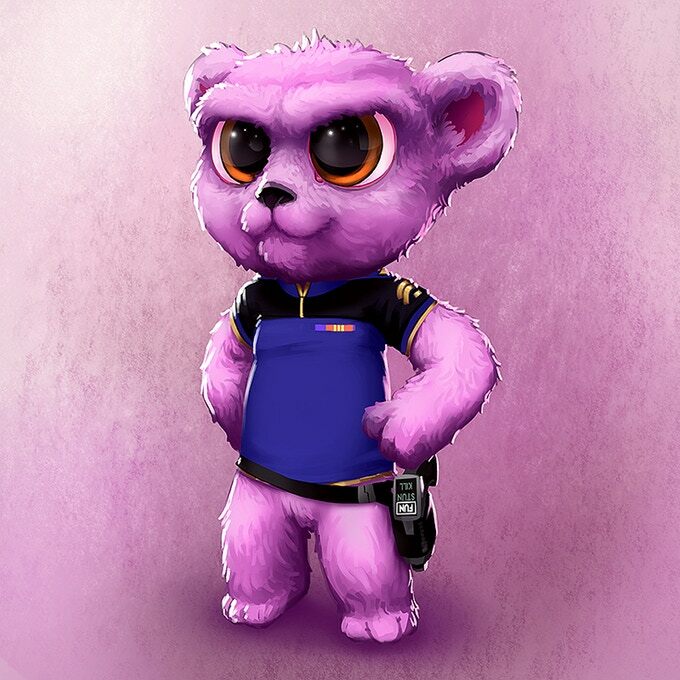 …PLUS- You will get to help design and name a creature OR a location that will be included in the rulebook with you listed as designer on the page, and receive an exclusive print of your creation’s artwork. 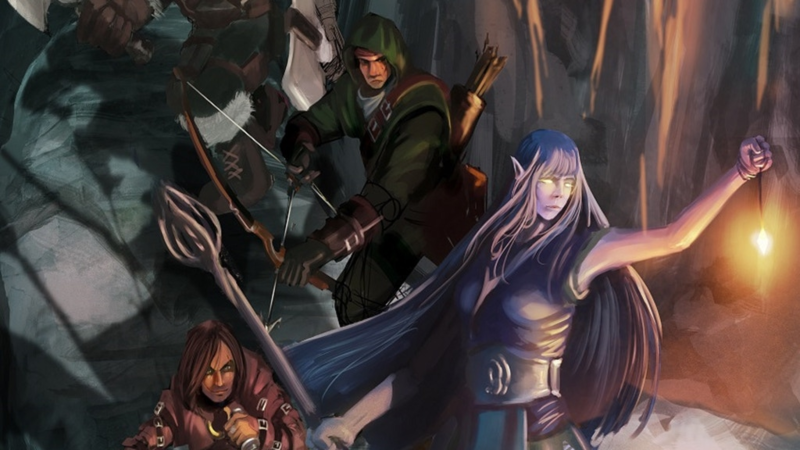 If storytelling RPGs are what you’re looking for, Raids offers a new system to consider. On top of that, you can create a creature or, exercising more of the creative-chops, you can create a location. The location could let you spread your wings a bit wider and add more to the world.